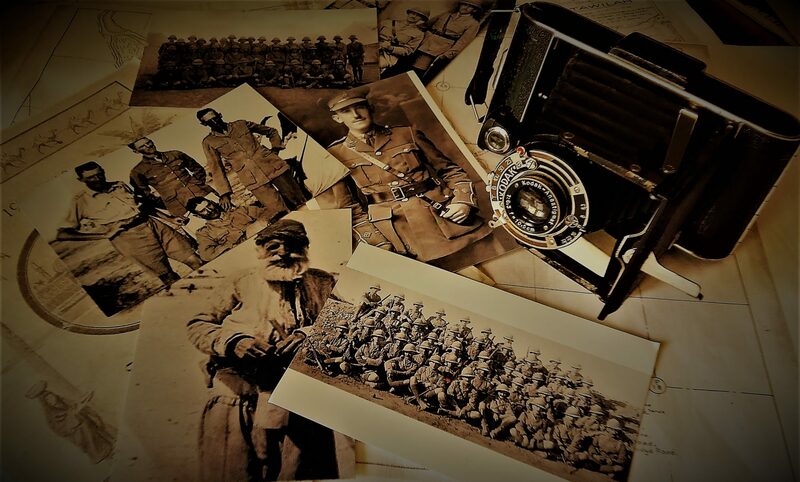 During the Great War, I served with the Imperial Army in Mesopotamia, and toward the close of that campaign, during the latter part of 1918 I was sent up into Persia to aid in the rescue of that part of the Armenian people who had taken refuge at Lake Urmia, in Northern Persia. We were told we had 80,000 Armenians to bring down into Mesopotamia where they could be cared for by the British Forces. From records I kept of the refugees passing through my hands I believe 57000 refugees reached the concentration camp at Baqubah. The rest presumably perished on the way. The total distance traveled was 500 miles. The death rate per day was very heavy on the 60 miles of route over which I had charge. W.J. Grummett, Toronto Globe and Mail, April 30, 1923. On his return to Mesopotamia from India, Will Grummett went to Khanaqin to undertake work, “in connection with refugees.”(Regimental Diary of the 2nd Battalion Norfolk Regiment, Sept. 1918) Those refugees were both Armenian and Assyrian people who had fled the Lake Urmia area in Persia (Iran) for safety in hastily constructed British camps around Hamadan in southern Persia. Following the Russian revolution and the departure of the Russians from the war, Russia’s former Armenian and Assyrian allies were left to fend for themselves against the Turks. They held on for some time, but lacking numbers and supply they, eventually, retreated. Unlike a military retreat, however, this exodus included the soldiers and their displaced families. They retreated to Hamadan covering 250 miles in difficult country. Once at Hamadan, however, the British Army decided that they could be better cared for closer to British controlled rail lines in Mesopotamia. General Austin goes on to point out that the British wasted little time in recruiting the “more robust men” (his term) from those seeking refuge at Hamadan, to an “irregular force for fighting in Persia” and the others, including one would suppose, less able men, “should be utilized as Labour Battalions to improve existing road communications on the Persian plateau.”(Austin, 1920) I doubt there was a choice for these men and teen-aged boys, to serve or not, and they were simply assigned to one of the groups and separated from their families. (Ishaya, 2004) Men who were unfit for the Irregular or Labour battalions, women and children, had to get themselves to the new camp at Baqubah. Between September and November of 1918, between 50000 and 60000 refugees took to the road once again. Will’s job was to protect the refugees as they passed along the caravan route between Hamadan and Khanaqin. He doesn’t provide details in his letter to the Globe and Mail, except that British units, probably platoons had charge of 60 mile stretches of the road. Beyond their usual kit it is not clear what resources Will was given to aid the sick and desperately hungry. Food was scarce. The entire region was suffering through famine and had been for more than a year. The rival armies, first the Turks and the Russians, then the British had commandeered much of the available food. I doubt Will had much to give except the protection his men could provide. It is not a certainty, but one would hope that the refugees were given rations, water and basic necessities as they left the temporary British camps. What is clear is that the refugees must have been in a weakened and very compromised state, having only recently survived the trip from Urmia. I doubt they were ready to move on but they had no real choice, so they set off on another 250 mile trek, this time through the passes of the Zagros Mountains, the Jebel Hamrin foothills and the arid plains of eastern Mesopotamia bound for the promised safety of the camp at Baqubah. They did so on foot, donkey, horseback, mule and camel. Will’s pictures below document the exodus and the various methods of travel. Just as their transport was whatever they had or could get, so to where their shelters. In the photograph below Will documented a temporary resting camp along the road to Baqubah. If the British provided any transportation it seems it was only once people could go no further. Will photographed a group of refugees along his section of the route who seem too sick or simply too weak to continue; they sit by the edge of the road against a wall trying to get out of the sun (immediately below). As the Lieutenant in charge of that part of the route he was responsible for their fate. He was given no resources to care for them along the road. I would also speculate that Will’s superiors told him he would not be able to request resources during the operation. Faced with this horrifying situation I think he made his first plea for those in dire need. I think, and the photo series that follows seem to document, that Will asked for, and somehow convinced his Commanding Officer to provide trucks to carry the exhausted refugees the final miles to Baqubah. In the second photograph, below, a large truck is visible in the distance coming toward the refugees. The last image in the series is of several large trucks capable of carrying many people, parked at the spot where the refugees had sat. The refugees are gone, presumably loaded on the trucks, a British soldier is carrying a last pile of belongings to the truck on the left. The meaning of the series of photos seems fairly straightforward and I would like to think that Will and his men were able to get these people quickly to medical help at the Baqubah camp. The helplessness must have been nearly unbearable. The war in Mesopotamia officially ended on October 30, 1918 with the signing of the Peace of Mudros. The First World War as a whole, came to a close with the armistice on November 11th, 1918. When the last of the refugees made their way to Baqubah in late November or early December of 1918, Will returned to regimental headquarters, now based in the town of Imam Abbas. He was given the choice to continue with the regiment or demobilize as per his enlistment agreement, which was, to serve while the declared war continued. I think he had seen enough suffering, and had been away from his home for nearly 4 years; the prospect of 2 or perhaps as many as 5 years more was simply too much. Will decided to go home and left Mesopotamia for England on December 23, 1918. Coming in November, the final installment, War’s End and Home. Many thanks to Tom Mitchell, Archivist Emeritus, Brandon University for discovering the April 30, 1923 letter written by Will Grummett to the Toronto Globe and Mail.